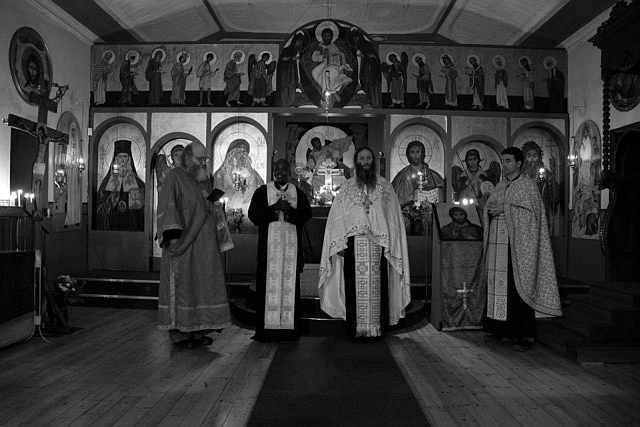 Last week we had a weekend of festivities to celebrate the 25th anniversary of St Nicholas Orthodox Church in Brixton, Johannesburg. I’ve already written something about the history of the church here. The celebrations started with Vespers at 6:00 pm on Saturday 13 October, where there were also some visiting clergy from other parishes. 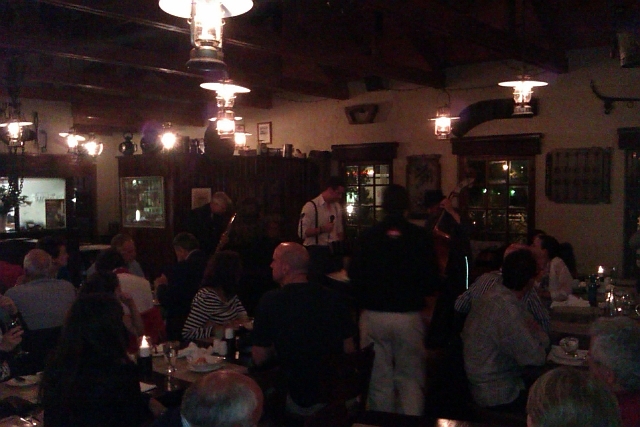 After Vespers we went to the Founders Grill in Florida for a celebratory dinner, and our choir member Harry Tambourlas and his jazz trio entertained us with music, as did some members of the parish who sang various songs. On Sunday morning His Eminence Metropolitan Damaskinos, Archbishop of Johannesburg and Pretoria, served a hierarchical Divine Liturgy, and tonsured several readers, and blessed the altar servers. Congratulations. The photos give a nice impression. Is this where we address our requests to Santa then? 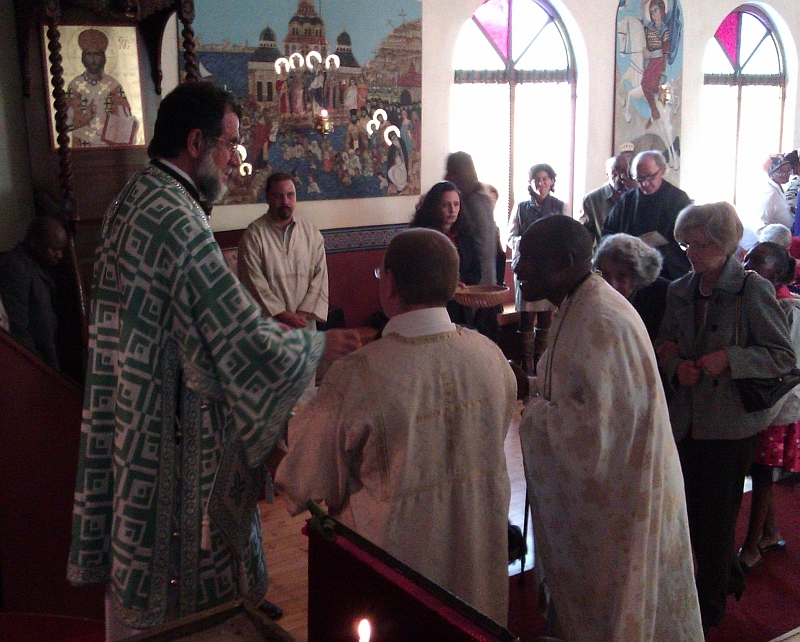 Deacon Steve: Did you attend the Serbian Slava celebration this year? I think Bishop Georgije of Canada was the visiting hierarch.